Clean Sweep Garage Sale - Jun 2, 2018 - Why Berwyn? - Why Berwyn? Rain or Shine. Come to Sell! Come to Shop! One person's junk is another's treasure at the annual Depot District Clean Sweep Garage Sale. Browse 5 stories of good finds and leave knowing that you've lived the spirit of the word "recycle." If you would like to sell, $30 will reserve your space in the Municipal Parking Facility at 3320 S Grove Avenue in Berwyn. Free to shop! Once again "Savers Thrift Store" will be on location to collect donations at the close of the garage sale, all proceeds will go to benefit Ovarian Cancer Research. Online registration is open until 6/1 at Noon at the "Register Now" button. Alternately, registration (PDF) can be made in person at the BDC office at 3322 S Oak Park Ave, 2nd Floor until Noon on Friday, June 1 and will reopen on Saturday, June 2 at 7:00AM at the Municipal Parking Facility before the event begins. 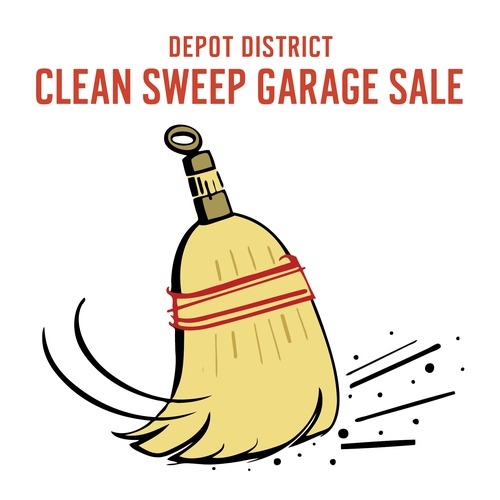 The Clean Sweep Garage Sale is brought to you by the Special Events Commission of the BDC.